Many of us spend a lot of time on the go. We run errands, often with our children. Television and movies are a frequent family activity. 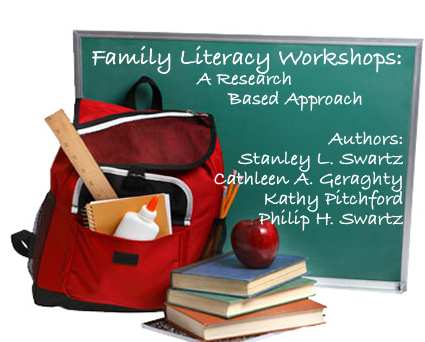 This workshop will help show parents methods they can use to integrate literacy into their daily routines, making the most of the time they spend with their children. The activities associated with this session will help promote oral language development and will provide parents with activities even when reading and writing are not possible. 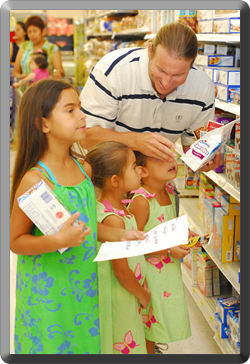 Most importantly, parents will be given fun activities they can do with their children to support literacy. This workshop activity is designed to show parents how to make and play a fun game designed to support oral language development. This activity addresses Listening and Speaking Strategies by focusing on oral language development through meaningful discussion of television programs. This activity addresses Word Analysis, Fluency and Systematic Vocabulary Development, Written and Oral English Language Conventions, and Listening and Speaking Strategies by providing a framework for developing an alphabet book that includes meaningful people and/or events. This activity addresses Listening and Speaking Strategies, and Written and Oral English Language Conventions by encouraging meaningful discussion between family members on safety, being prepared and what each of them would and should do in an emergency situation. This activity addresses Listening and Speaking Strategies, and Written and Oral English Language Conventions by giving children the opportunity to work with their family to decipher written or pictorial clues in order to solve a puzzle and find a hidden treasure.